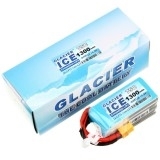 Glacier ICE is a series of competition batteries optimized for power and performance, ideal for competition that demands high discharge platform and rate. © Copyright 20165 store.aimdroix.com. All Rights Reserved.